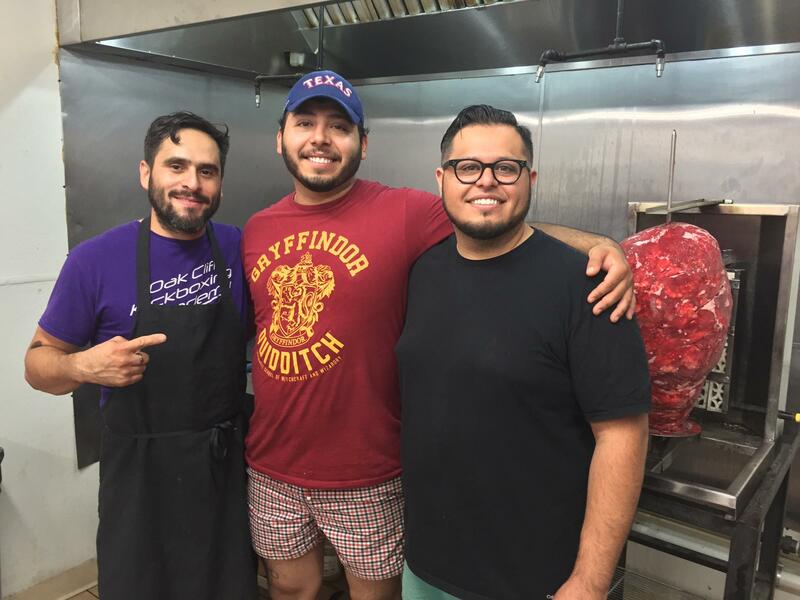 Luis Olvera (right) is co-owner of the restaurant Trompo in west Dallas. Bon Appétit announced its list of 50 nominees for America’s Best New Restaurants -- and one of them is a family-owned taqueria in West Dallas. 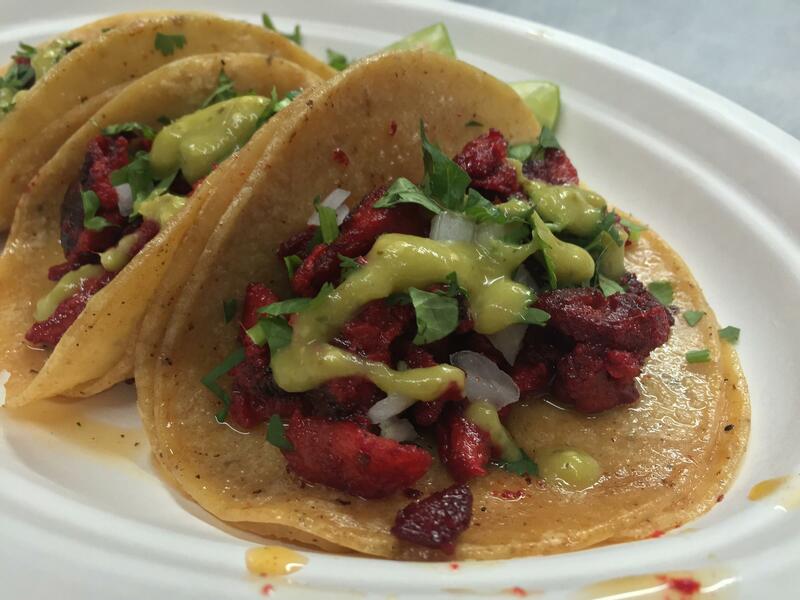 The Trompo taco shop, next to a tire shop in the La Bajada neighborhood, has quickly become a Dallas foodie sensation. Thanks to the magazine mention, business has skyrocketed. So how did Trompo get its name? After a rotating spit of meat in the restaurant. It resembles a Mexican spin-top, called a trompo. Olvera’s family is from Monterrey, Mexico. They took the classic citrus al pastor recipe and substituted paprika as the marinade. It gives the pork a dark pink color. “One of my uncles, my business partner’s dad, had a really good recipe that was from one of the original families in Monterrey that was doing this 15 to 20 years ago,” Olvera said. Olvera opened the restaurant on Singleton Avenue in April after operating out of his backyard and the Kessler Theater for a while. He didn’t think it would take off. And if you’re a vegetarian, Trompo’s got you covered. Olvera makes a quesadilla filled with an Indian cheese called paneer and poblano pepper. At this taco shop, the most fulfilling thing isn’t filling bellies, it’s working with family. Olvera says the attention from Bon Appétit is nice, but he’s focused on slinging out as many tacos as he can -- and making them as good as he can. After the magazine mention, Trompo has been overwhelmed with customers. Many days, they've been selling out of tacos after just a few hours. Some customers aren't happy with the long lines, but the restaurant says it appreciates their patience. The restaurant posted on its Facebook page: "We love tacos, and we love taco lovers, thank you!" Since the publicity, Trompo is looking for "a few great people to hire," including cooks and dishwashers. Can food revitalize an ailing neighborhood? In Dallas, global flavors seem to be playing a pretty big part in one area's transformation. For decades, West Dallas was a ramshackle place: a Superfund site with a cement plant, some crime-ridden warehouses and a modest Latino neighborhood known as La Bajada across a potholed two-lane bridge from glittery downtown. Now there's a soaring new bridge, the Margaret Hunt Hill Bridge, that some called the "Bridge to Nowhere." But with a dozen new restaurants, nowhere is becoming somewhere. It’s been a huge week for West Dallas. 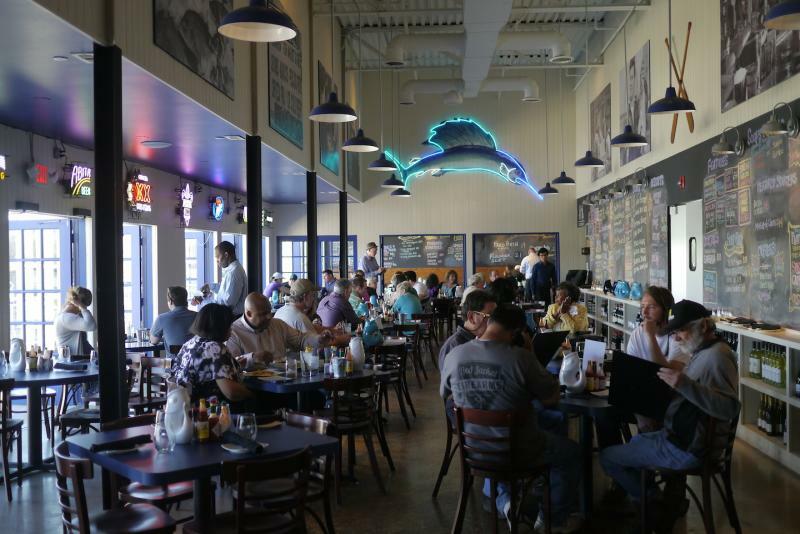 Springtime crowds are flocking to the Trinity Groves collection of restaurants. And the neighborhood’s first grocery store, Cox Farms Market, opened Thursday. It’s the first opening at the Sylvan Thirty complex, which also plans to include apartments and retail space. 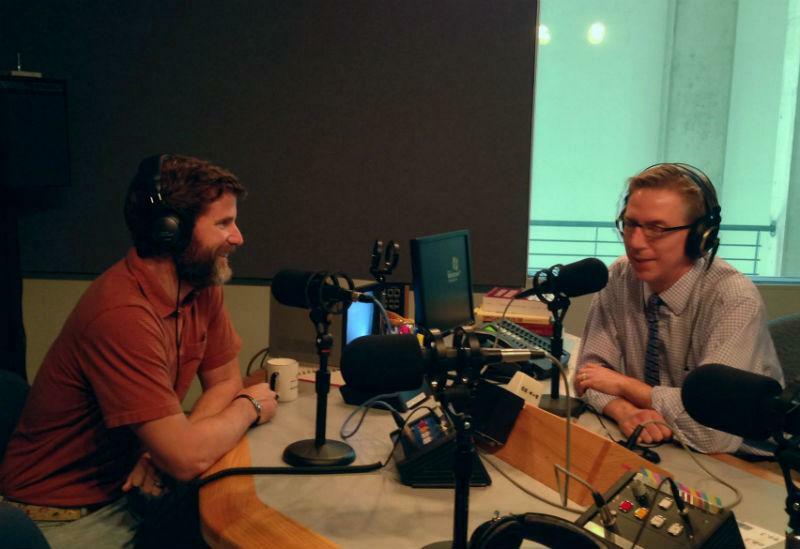 For this week’s Friday Conversation, Sylvan Thirty owner/developer Brent Jackson sat down with KERA’s vice president of news, Rick Holter.